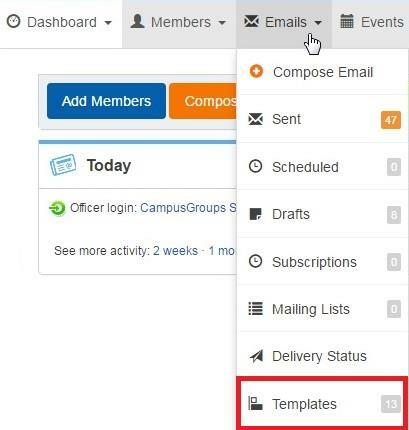 Click on the "Emails" tab (in the manage toolbar) and then on "Email templates". 4. 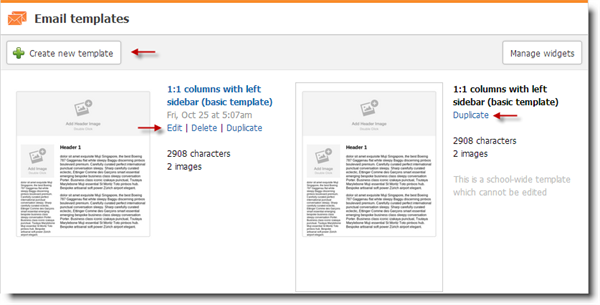 You can "Create a new template" or "Duplicate" an existing one and "Edit" it. When it's completed, click on the "Save" button. 5. Mouse over the "Dashboard" menu and then click on "Settings". 6. Click on "More" in the top menu and then select your "Automatic welcome message" in the drop down.